The event, hosted and funded by the U.S. Department of Energy’s (DOE) Office of Electricity Delivery and Energy Reliability​’s (OE) Infrastructure Security and Energy Restoration Division, will take place on April 6-7, 2018. This event will be simultaneously hosted at three of the Department’s national laboratories: Argonne National Laboratory, Oak Ridge National Laboratory and Pacific Northwest National Laboratory. The competition challenges students to respond to a scenario based on a real-world challenge of vital importance: protecting the nation’s energy-related critical infrastructure from the cyber threat. Supporting the development of a strong, agile cyber workforce is a top priority for the Department. At this year’s event, students will compete to build and defend a simulated oil and natural gas network from a team of attacking security professionals, while maintaining the energy delivery services required by a team of users and customers. This competition incorporates components to add to the realism of this scenario, including a barrage of injected ​“anomaly” events, by which teams can earn additional points, and users who rank teams on the usability and reliability of their delivery services. A winner will be announced at each laboratory site, and an overall winner will be announced following the event. Through activities such as this annual cyber competition, the Department of Energy is promoting the development of a workforce of cyber professionals with competencies relevant to the energy sector, and raising awareness of the cutting edge cybersecurity and critical infrastructure innovation happening in the Department of Energy and across the national laboratories. Industry fairs will be hosted alongside the competition. These fairs will enable students to explore career opportunities and network with peers while testing their skills and learning new ones. According to the U.S. Bureau of Labor Statistics, career opportunities for cybersecurity professionals are expected to grow over 28% by 2026, faster than all other computer and IT occupations. Meanwhile, according to the Information System Security Association, the gap between open positions and qualified applicants is projected to widen by over 3.5 million over the next two years. Events like this one encourage students to consider careers in the field and help drive growth of the workforce. In the two previous years that the competition has been held, students have acknowledged the many ways the competition has helped develop their skills and careers. This has galvanized some students on the path towards a cybersecurity career. “[My experience at the cyber defense competition] solidified my decision to continue working in cybersecurity as it’s very much needed in today’s ever-connected world,” said Oliver Hui, a student who landed a job doing cybersecurity research for the U.S. Navy following his experience in the competition. In other cases, the competition experience may result in a pivot into a cybersecurity career for students who might have otherwise gone in a different direction. “[These competitions] really do make an impact on those who participate and give a small peek into what the cyber industry might look like in worst-case scenarios. 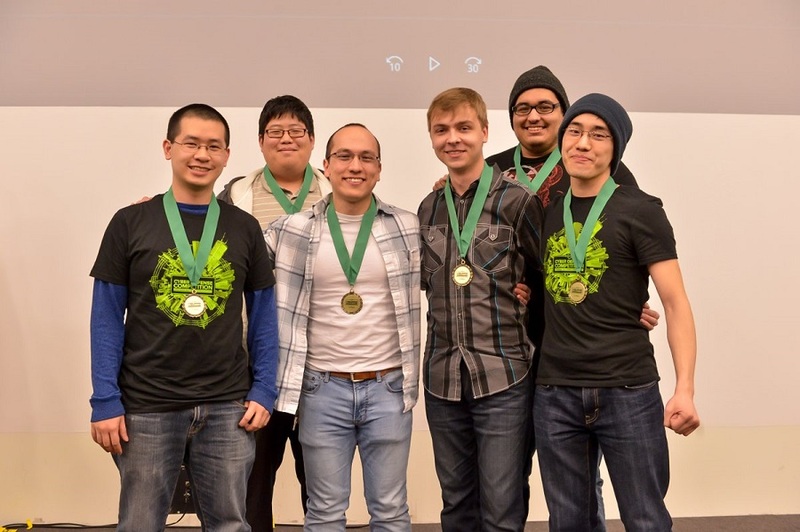 It’s also a heck of a lot of fun,” said Daniel Stempniewicz, an undergraduate student who switched his degree focus to Windows Operating System internals and Cybersecurity after participating in the competition. Lastly, the chance to build excitement, confidence and camaraderie is unmatched. “The competition was truly an interesting and unique experience. I wouldn’t trade the experience for anything in the world. While the win was amazing and unexpected by me, I had a lot of fun working with my peers before and during the actual competition,” said Shawn Kim, a master’s student studying computer science who says he gained better teamwork and observation skills through the competition. 2018 marks the third installment of this competition. The first two competitions were hosted by Argonne National Laboratory. At this year’s event, the stakes are even higher. The event will span the nation and bring in the greatest number of students the competition has ever seen. “It’s encouraging to see the growing support for this competition; we’ve received a lot of positive feedback. Clearly, students see the value of the learning opportunity it provides, and our sponsors see the value in being able to engage with promising talent,” said Argonne cybersecurity expert Nate Evans, who founded the competition. To learn more about OE’s efforts to ensure a resilient, reliable and flexible electricity system, visit the OE website. ORNL is managed by UT-Battelle for the Department of Energy’s Office of Science, the single largest supporter of basic research in the physical sciences in the United States. DOE’s Office of Science is working to address some of the most pressing challenges of our time. For more information, please visit http://​sci​ence​.ener​gy​.gov/. Interdisciplinary teams at Pacific Northwest National Laboratory address many of America’s most pressing issues in energy, the environment and national security through advances in basic and applied science. Founded in 1965, PNNL employs 4,400 staff and has an annual budget of nearly $1 billion. It is managed and operated by Battelle for the U.S. Department of Energy’s Office of Science. As the single largest supporter of basic research in the physical sciences in the United States, the Office of Science is working to address some of the most pressing challenges of our time. For more information on PNNL, visit the PNNL News Center, or follow PNNL on Facebook, Google+, Instagram, LinkedIn and Twitter.